When you work with A Concrete, you are working with a team of highly skilled concrete contractors who are experts at creating foundations, stairs, sidewalks, ADA ramps and floors. They have completed many high profile projects for commercial and private customers. Recent projects include the Johnstown Plaza and Liberty Commons High School—so you can be sure they are capable to take care of whatever concrete installation you desire. They also specialize in caulking and sealing, which will help prolong the life of your investment and your home. Visit the website for useful FAQs, then call A Concrete to schedule a free consultation. 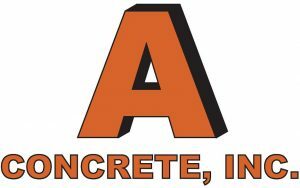 A Concrete is your trusted resource for concrete work since 1982.